“I cut off one of the pads as a cutting,” says I. “To grow?” they ask, brows furrowed. “Yes…” Here it comes, but they mean well. “You mean prickly pear, that cactus weed? You want to… grow it! ?” Shock, Horror, et cetera. It is somewhat understandable that prickly pear has a bad reputation here in Australia, having found ideal growing conditions and no natural enemies, it rendered whole agricultural areas unusable. An excellent summary of the ‘fight’ against prickly pear can be found here. I guess it would have been easier to change our habits and harvest it to eat like they do in Mexico, having recognised it as a valuable alternate food source, but that is a whole other issue. Just the fact that we use terms like ‘war’, ‘fight’, and ‘battle to eradicate’, in describing our relationship with a plant is at about the same level of reason as when discussing our need in the West to incorporate Entomophagy. Interestingly, this fact sheet from the Mississippi State University calls out the creature that solved the Australian issue – the Cactus Moth (Cactoblastis cactorum) as the bad guy in all this, and not the other way around. It is not just the fruit that is edible – you can also eat the cactus pads (Nopales), which the video below will help you with, and here is a recipe for the Mexican dish, Nopales Salad. So what we have is a cactus plant that can grow quickly in poor soil and conditions, produces plenty of edible fruit, and gives you pads that can be eaten like a vegetable. Twist off a whole pad from the plant. I’m assuming you either have one already or sighted on in a neighbours yard and obviously asked their permission before turning up while they were out and basically stole it (OK that was me just projecting here). Be very mindful of the spines – use thick gloves or tongs are good also. Once you have the pad, put it straight into a pot of damp soil, something local is the best, however if you have to make a mix then get equal parts sand (propagating sand if you have it) with free flowing dirt. Keep the pot out of direct sunlight and with the soil moist, but not too wet. 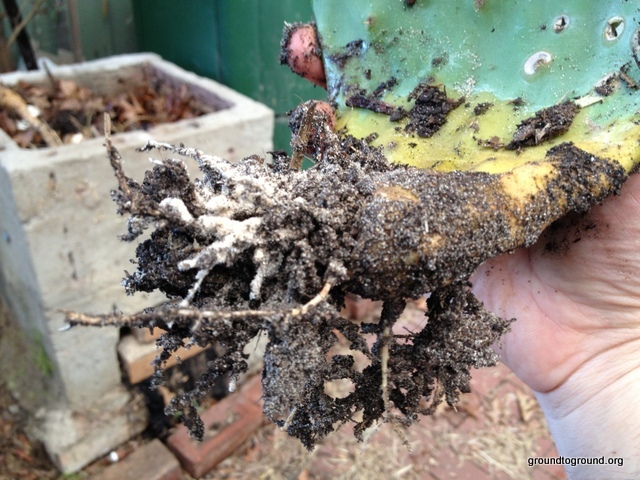 After four or five weeks you will have a rooted cactus pad. Either leave in the pot to grow there (will severely restrict its growing capacity), or plant out to an appropriate spot in the garden. Tags: Cactus, gardening, Opuntia. Bookmark the permalink. 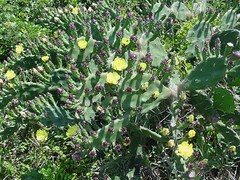 I think I’ll have to head out at the end of the month and pick some prickly pear fruit! I’ve never done it before, but now I’m really curious. Thanks for the info! Happy to help – make sure you wear gloves! It is wild how your folks & mine(in the USA) are all the same. We do not run over the common yellow prickly pear with a lawn mower. This is because each part will root & you will have more. We pull them up with leather gloves & burn them or put them in the land fill. 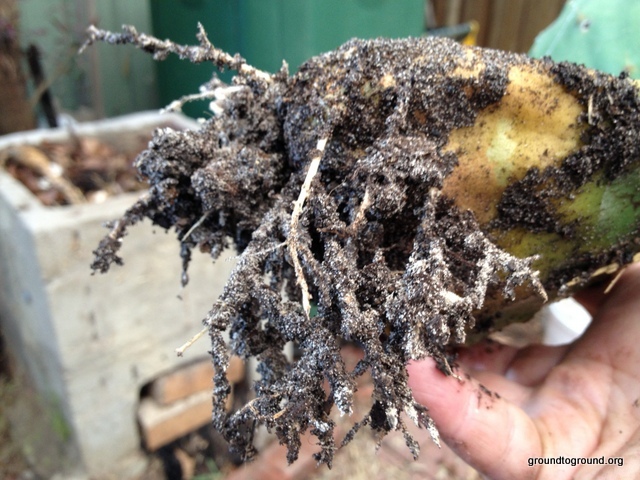 We never compost them, they grow from seeds too. I am buying some with different color flowers, I am a plant nut. I have a recipe, if you would like it email me. Hi Joel – yes mate I’d love a recipe. Could you post it here for others to see also? 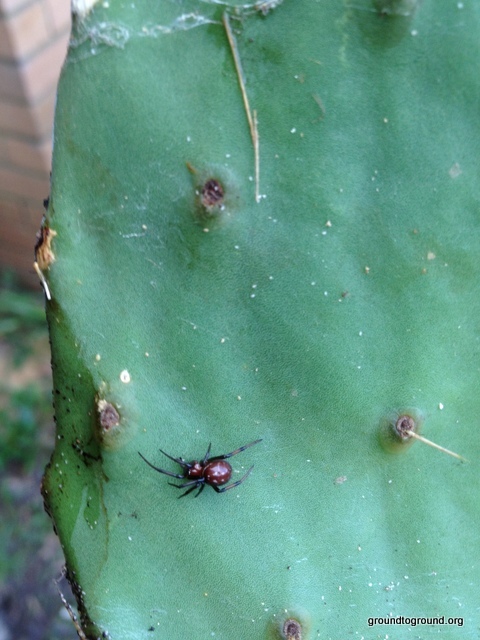 Also, any photos of the prickly pear you have over there would be greatly received.